3. 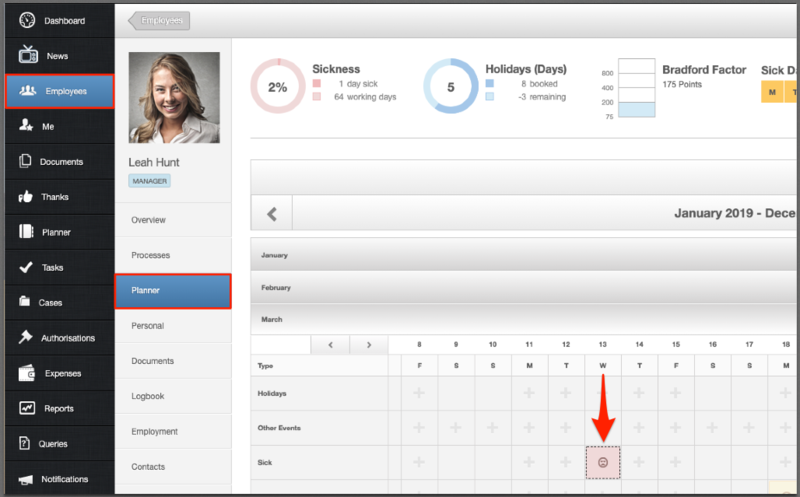 Click on the relevant month you wish to add Sickness and select the appropriate day on the Sick line. 5. Select the appropriate sickness reason from the dropdown list. 8. In the 'Options' tab you can select if HR has confirmed the sickness, choose whether a back to work interview and self cert are required. Once received, enter the dates. If the employee is off sick for another day, you can go back into this sick record in the employee's planner and edit the end date. We do not advise creating a new sickness record as this would trigger another return to work form. 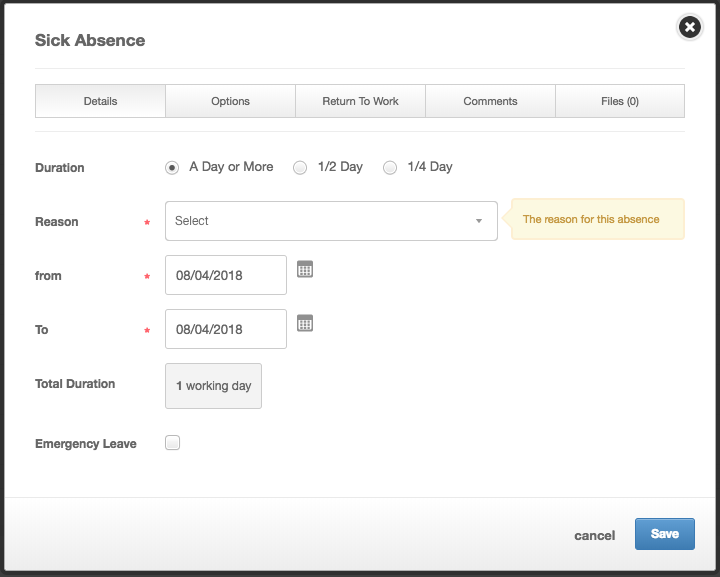 Admins and managers have the ability to record a sick day on an employee's record, however employee's cannot add sickness to their own record. Once communication has taken place with the employee and the manager/HR, this can be added to their record.